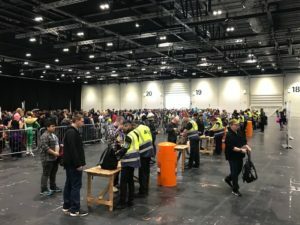 ExCel London welcomed yet another exciting and successful MCM Comic Convention through its doors, providing a truly immersive experience with thousands of Visitors in attendance. 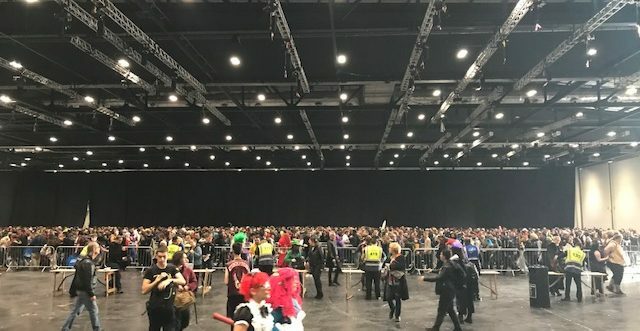 MCM Comic Convention provides a range of entertainment for all attending, from VIP Guests which included ‘Avengers Infinity’ Paul Bettany and ‘Shadow Hunters’ Katherine McNamara to Memorabilia, The Comic Village, Panel Stages and the return of the popular Pop Asia. Visitors donned their best Cosplay attire, proving that MCM Comic Convention provides the perfect platform for all in attendance to not only visit but be a true part of the event. Gainsborough Events Management Ltd have proudly been a part of the MCM Comic Convention Team for over 4 Years and 8 events, our staff work tirelessly in order to support our Client and provide an exclusive and professional service throughout the event. From Green Room and Talent movement to Panel stages, response patrols and event control Gainsborough cover all bases in securing the busy and fast paced event. Our expert queue control, crowd management and weapons check Teams offer a service which is second to none and truly cements Gainsborough’s reputation of being a front runner in the Security events industry. The Gainsborough Team always look forward to assisting in the delivery of MCM Comic Convention and pride themselves in the success that follows the popular event.